I just noticed something. I haven’t posted in a while; over two weeks. Let me explain. 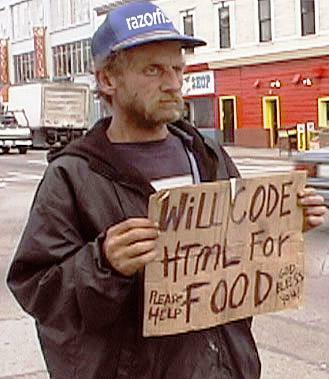 In my professional life, I am a programmer (mostly web stuff). On Monday, I will be launching a major version of my organization’s main data recording and reporting system. Needless to say, I have been a little busy with it. It’s been about a year in the making and I’ve been stressing over making the transition as smooth as possible. The rides on the trainer after work have been invaluable. It’s a great stress reliever. The only major bike event on the horizon is a foray into using chamois cream. I’ll give a report on that at a later date. My temporary hiatus has been nicely filled by several good articles over at Biking To Live. My drought has been equaled by his bounty. Check it out. Hopefully there will be a minimum of issues with the site release and I can refocus my life on the real important stuff, like trainer rides, equipment and chamois cream. For those of you who don’t already know, Michael Barry is a top level pro cyclist currently riding for Team Columbia, and formerly for the US Postal juggernaut. 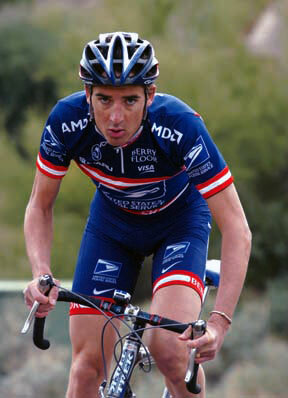 He writes an occasional rider diary for VeloNews that continues to impress me. In his latest installment, he extolls the unusual talent and maturity that his young teammate, Craig Lewis shows. My pessimistic side keeps waiting for one of those “it was tough but we somehow managed, it’s so crazy!” rider tomes that are so much cage liner. Well, it never happens – this guy has a gift for good writing. He even wrote a book. His ability to leave it all on the road, turn himself inside out so that his team can prevail – is well documented. It’s his skills at painting a picture with words I think will perhaps be a greater testament to his career. Not too long ago, I posted about my recent trip to Desolation. When I went to post it, I was a little skittish about it. After all, how many people out there know where Middle Grove is? It’s great to talk about my rides, but can how well can it really translate to people who have never ridden there? There are certain commonalities to many rides; the elevation profile, sketchy intersections, places prone to the dreaded right hook. Ride narratives can get generic this way, or perhaps better stated they adhere to a kind of ad-hoc standard of description. After all, other bloggers I read (Bike Noob, Biking To Live, Fat Cyclist) refer to their local routes all the time and I have built a mental image of them. I guess it’s the specifics of a route that lend to it’s quality. I can get a general sense of an elevation profile (false flat, epic lung-burner, etc.) but it’s harder to convey something like the smells of people grilling dinner as I pass through certain neighborhoods, or how flags can be waving in opposite directions within 10 feet of each other on the same street. Hopefully I can convey what it’s like to do my routes. I guess it’s not the route itself but it is the idiosyncrasies therein. Hope you enjoy the theater of the mind. That’s what I do when the ride begins. After I pump up the tires…and after I slap on the SPF 30…and warm up…and stretch. But “Clipping In” sounds so much better. A good ride can be one where you discover new things along the way. It can also be rediscovering something in rides you’ve done a hundred times. This blog is a new ride for me. So many times I’ve wanted to dish about some cycling topic, but let’s face it – not every town is Boulder – so I don’t have a gaggle of fellow bikers to rant with. I’m coasting out of the driveway and on to the road. Adjust your 4-way chamois stretch and let’s roll.